Open/Close Menu Building healthier bodies & minds. Teaching Life Skills. Coordination can be defined as the ability to move efficiently, carefully, quickly, and purposefully. Studies show that a child’s physical coordination can have a bearing on their skill level in sports, academic performance and even their attitudes about school and education. Shobukan Martial Arts Perth teaches students to become more aware of their bodies – how they move, how they function and how to control them. Gross motor skills like kicking, punching, jumping and moving direction are developed, as well as fine motor skills such as vital point striking work and hand and foot placement. Good coordination is a key to building confidence and improving performance in Martial Arts, as it is in real life. The skills that feed into coordination are things like spatial awareness, judging distances, changing speed and angle and more, all of which are fundamental to Shobukan Martial Arts training. The wonderful thing about coordination is that it’s a skill that can be continually improved through practice and training. Most assume that some abilities such as grace and controlled movement are innate, but coordination is an ability that can be improved. Shobukan Martial Arts training begins with kids being taught broad movements, which are then refined again and again through repetition and instruction. During a training session, an isolated movement such as the chamber for a kick might be practised between 50-100 times, or even more. That repetition teaches the body how to move, and as combinations are added on, coordination improves. Coordination’s close cousin is focus – coordination being about physical control of the body, focus being about the mental control of thoughts. 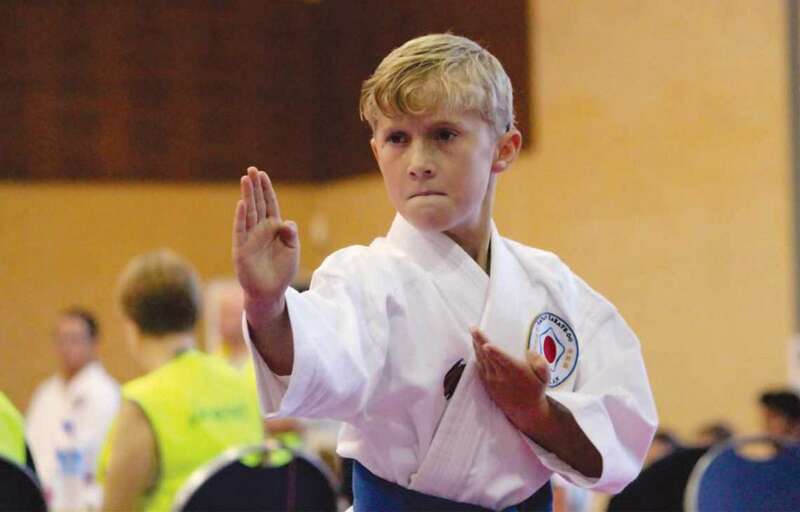 Focus is often a key reason parents enrol their children with Shobukan Martial Arts. Focus is setting your consciousness completely on one task, blocking out all distractions. Just like coordination, focus is both a natural gift that can be developed and improved over time. It’s amazing how much power can be put into punches and kicks if you focus on breathing, moving properly, and channeling your inner energy. Martial Arts are often demanding disciplines, and it’s only through proper focus that progress is possible. That focus can come easily, or it can be a battle in itself. Either way, it’s a skill that is honed through the practice of Shobukan Martial Arts, a skill that extends to all aspects of life and offers a wide range of benefits inside and outside of the training hall. Essentially, through Martial Arts training you will learn coordination and focus, which are powerful tools for all areas of your life. Copyright © 2019 SHOBUKAN Martial Arts. All Rights Reserved.